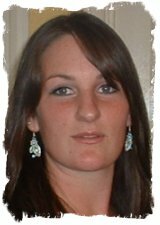 Hi, my name is Sarah Berrisford and I am a Reiki Master/Teacher having trained through Reiki Evolution. I live in the picturesque village of Gedney Hill, which is on the borders between Lincolnshire and Cambridgeshire; approximately 30 minutes from Peterborough, Wisbech and Spalding. I run Lincolnshire Reiki training courses and also special courses on Equine Reiki (Reiki for horses) and Animal Reiki. I run First Degree (Shoden) Reiki classes monthly and Second Degree (Okuden) courses bimonthly, plus three levels of Equine Reiki workshops throughout the year. All of the courses are held at Epona Equine Reiki Centre in Gedney Hill; we are lucky enough to be opposite ‘North View Fishing Lakes’ which is adjacent to ‘Gedney Hill Golf Course’ – so plenty for you’r the other half to do whilst you enjoy your Reiki training! Originally from Woodford, London, my family moved to Lincolnshire to fund our passion for horses. I am lucky enough to come from a family of natural healers; with my grandparents being quite accomplished in this field. Although their practice wasn’t Reiki, it was a simple and intuitive approach which left open doors for exploration. Having grown up around horses, I followed my Secondary School education by completing the British Horse Society 1, 2 and 3 training and examinations, after which we set up a family run riding school, stud and training yard. Although managing and teaching in the riding school bought a large amount of experience of working with people, and was rewarding for myself and my students, I felt this wasn’t quite the right path for me and so after having my daughter I decided to follow the path I was being guided to. Reiki came into my life when my beautiful horse Pancho became lame. The vets gave him little chance of being a ridden horse again. Whilst looking through an Equine magazine an article seemed to “jump out” regarding Reiki for Horses, I booked Pancho a treatment and on the vets next visit they were surprised by his progress. To cut a long story short Pancho has now been sound for years and can be ridden in all disciplines! After my first encounter with Reiki, it seemed to pop up everywhere; conversations, internet, tarot readings… the list goes on! 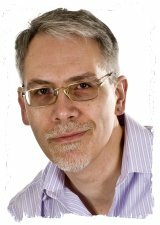 A few universal nudges in the right direction and I had booked my First Degree Course through Reiki Evolution, the manual and course materials were of such good quality and packed with all of the information one could hope for. The Reiki training day with Louise Heseltine was excellent, meeting like minded people with a friendly and supportive teacher. Needless to say, I carried on and completed Reiki 2nd Degree and the Reiki Master/Teacher Course. When I first completed the Reiki Courses, I did so to enable me to treat horses and for self development. In 2008 I began teaching Equine Reiki courses through Reiki Evolution, giving course participants’ confidence, guidance and opening up new paths for people who wanted to treat horses. 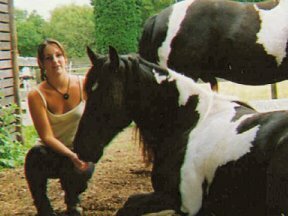 I set up Epona Equine Reiki Centre and gave Reiki to clients horses privately too. Last year I wrote a book ‘The Handbook of Equine Reiki’ which details treatment methods, reactions of horses and case studies. Although to start with my main focus was treating horses, I gradually started treating people too and taking them through the Reiki levels; I found this was also very rewarding; being a part of helping to bring Reiki into someone’s life is wonderful and in 2010 I have begun to teach ‘human’ Reiki training courses through Reiki Evolution. I love teaching Reiki and meeting like minded people and look forward to welcoming you to one of my courses if you would like to train through me.